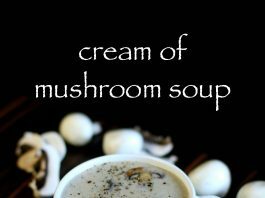 i am not a big fan of soup recipes but i have a special place for creamy soups including cream of mushroom soup and cream of tomato soup. 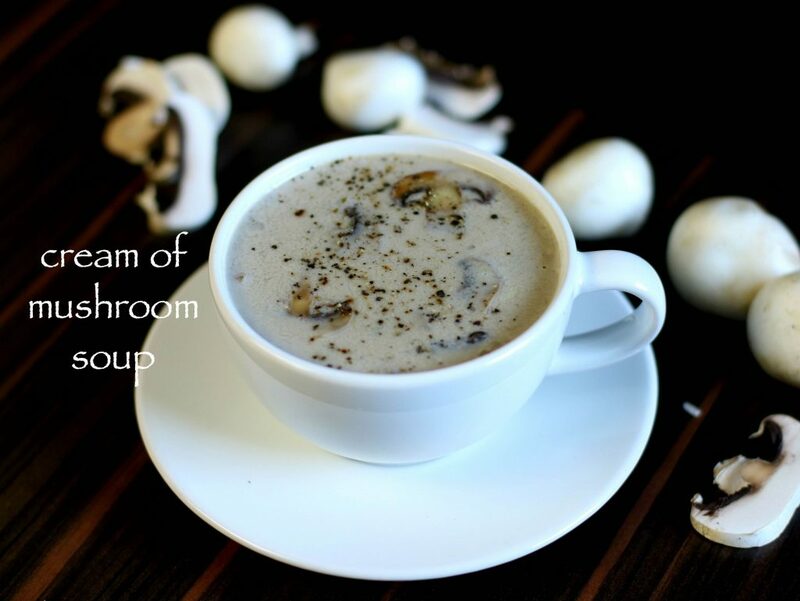 i personally like mushroom soup because, i like mushrooms and any mushroom recipes. it can be anything like mushroom curry, or mushroom starters or even a soup. 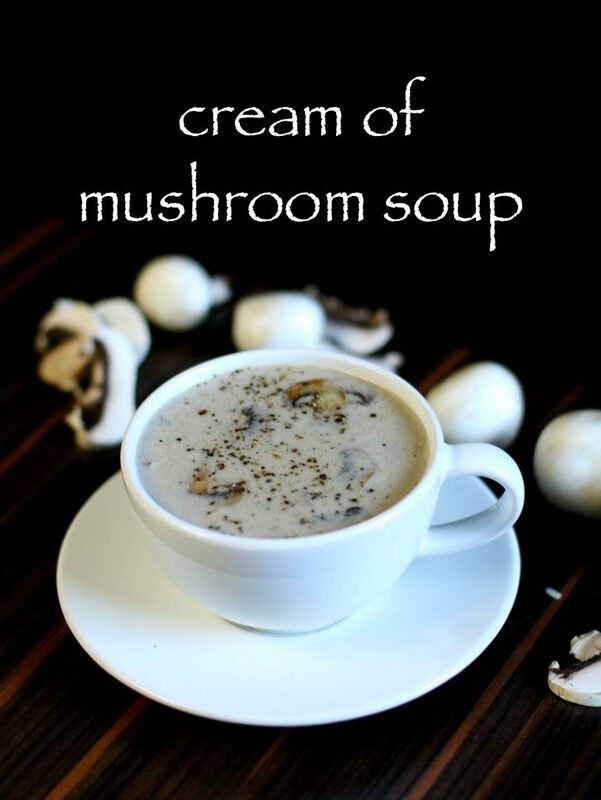 i prefer to make this from scratch with lots of fresh mushrooms, even though we get canned mushroom soup or as instant soup in any grocery store. 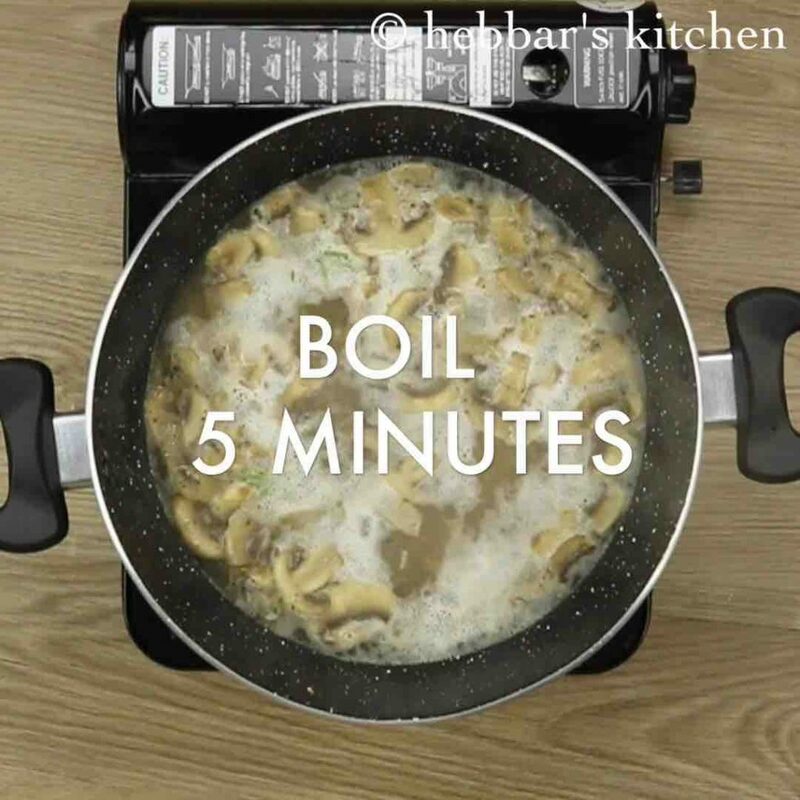 furthermore, some important tips and recommendations for a perfect, creamy mushroom soup. 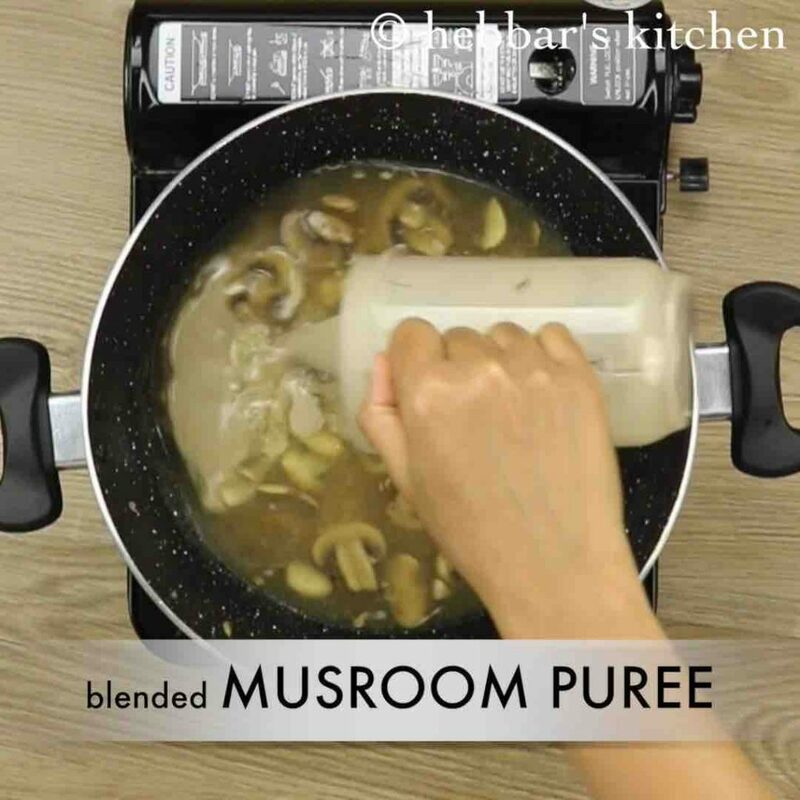 firstly, any stockings can be used to prepare the mushroom soup. chicken stock, or vegetable stock tastes great for cream of mushroom soup recipe. secondly, i have added thyme to this soup recipe which is completely optional. 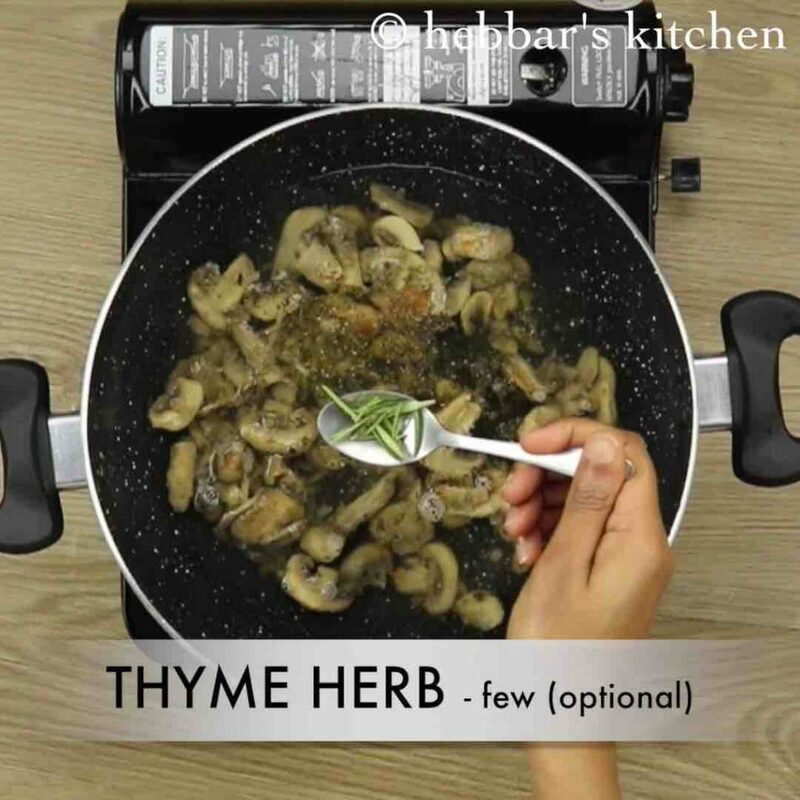 adding thyme introduces dry aroma and a slightly minty flavour to the soup. lastly, do not add cream if you wish to prepare it ahead and deep freeze it. add cream once you defrost and heat the soup. firstly, in a large kadai heat oil and butter. further add onions and garlic. saute for a minute or till they just sweat. further add sliced mushrooms. 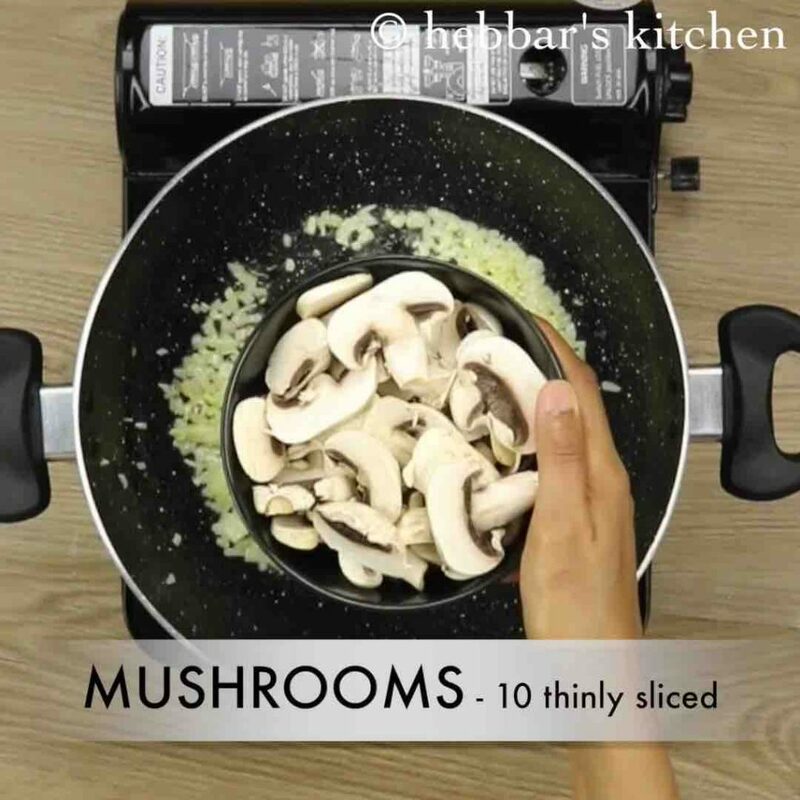 add variety of mushrooms if you prefer. 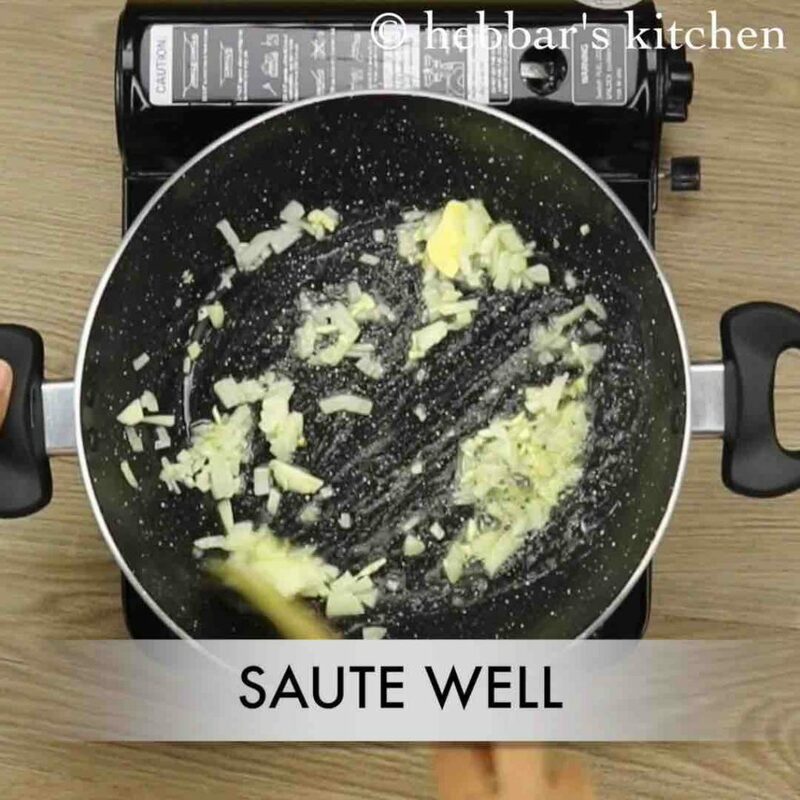 also saute for a minute and simmer for 5 minutes. 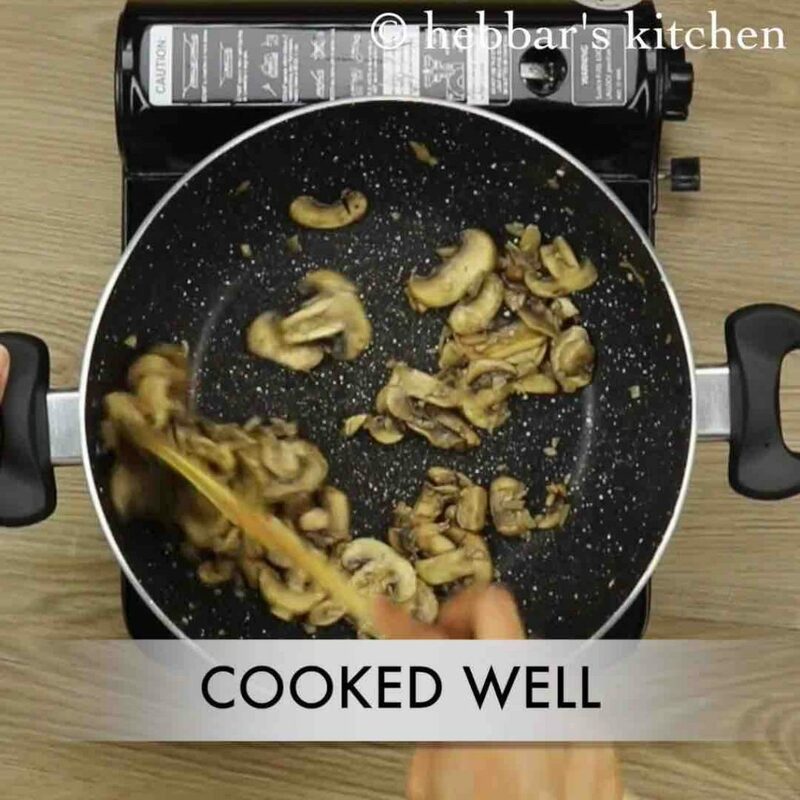 saute and cook the mushrooms till they shrink in size slightly. additionally add maida and saute for a minute or till the raw smell disappears. 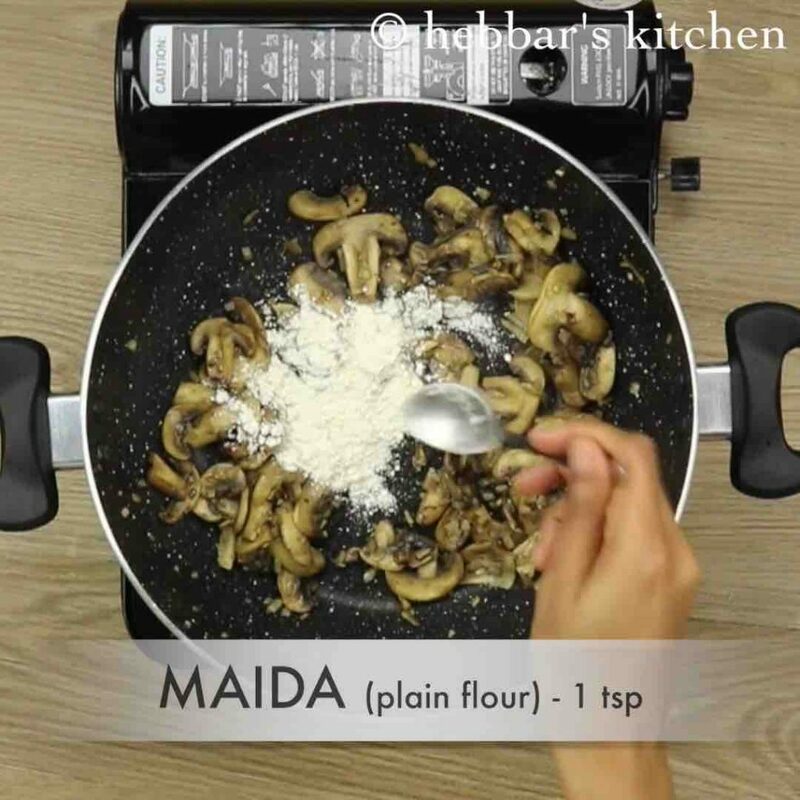 maida helps to thicken soup. furthermore add water or veg stock. also add crushed pepper, thyme and salt to taste. further transfer 1 cup of mushroom + water into the blender. 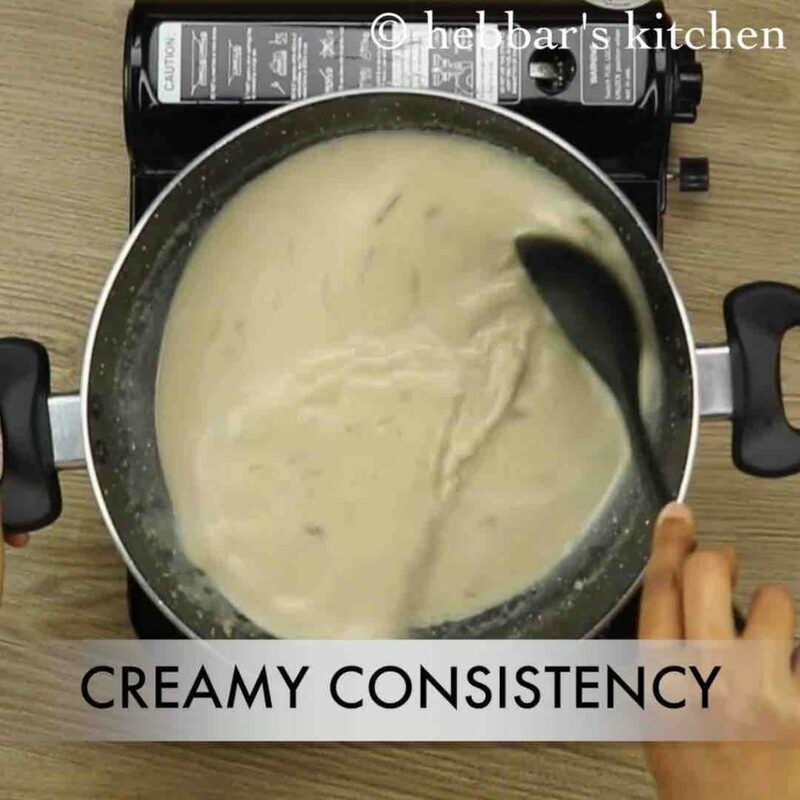 you can also puree entire mixture. 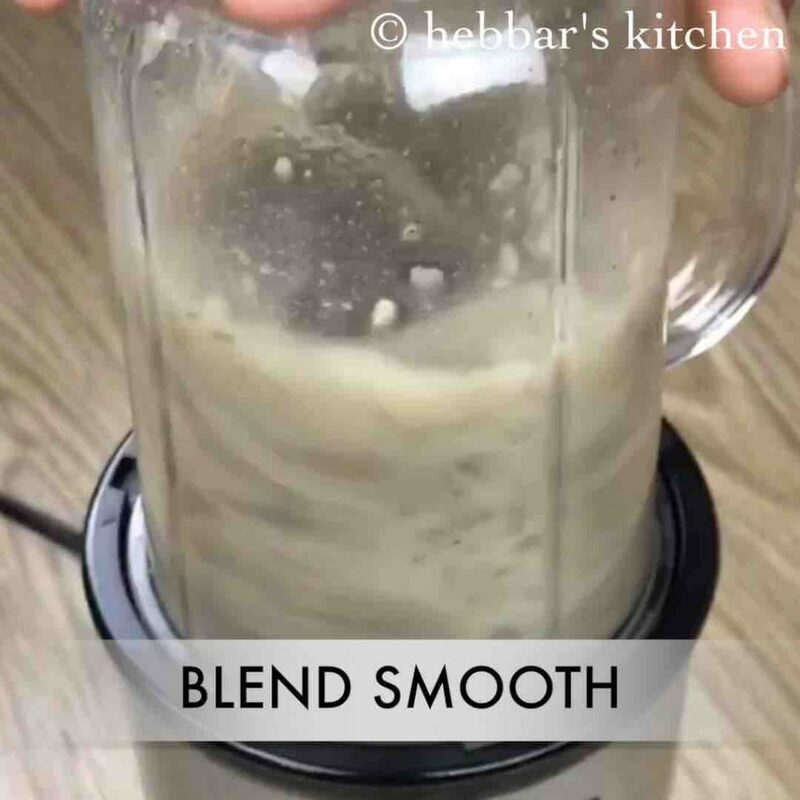 cool and blend smooth. 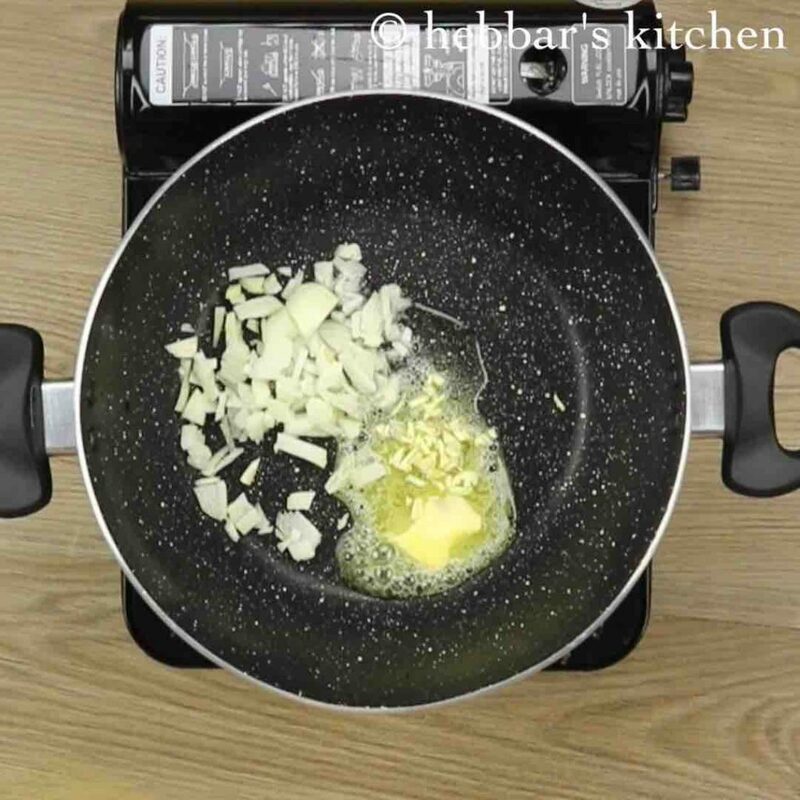 this helps to give creamy consistency to soup. transfer the blended puree back to the pan. also add in cream for extra creaminess. replace cream with milk if you are diet conscious. mix well and simmer for a minute. do not boil, as cream might curdle. stir well making sure the soup has turned to creamy consistency. 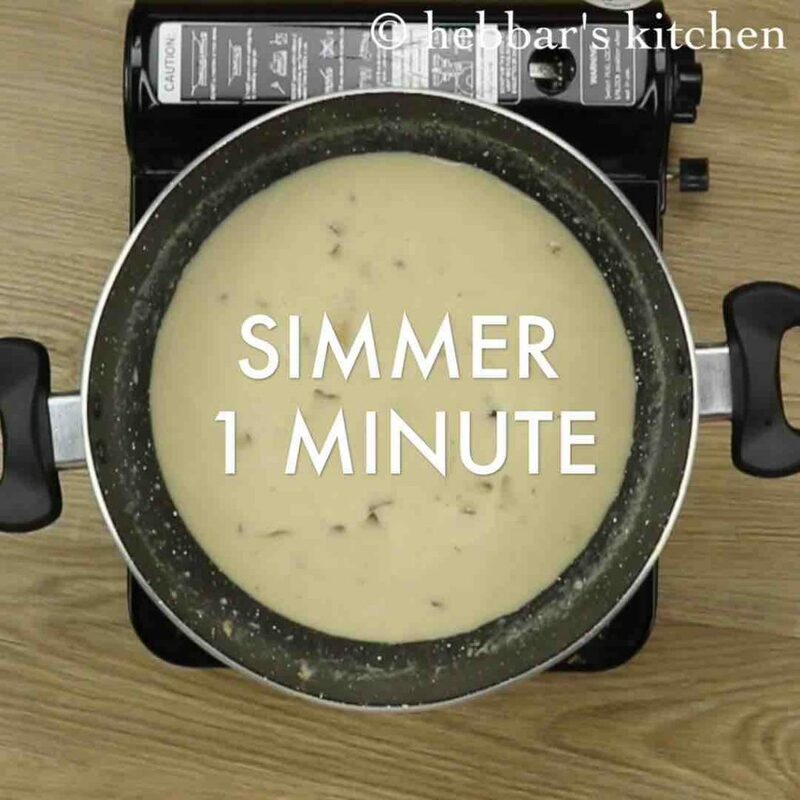 finally, serve cream of mushroom soup piping hot topped with extra cream and pepper. firstly, in a large kadai heat oil and butter. 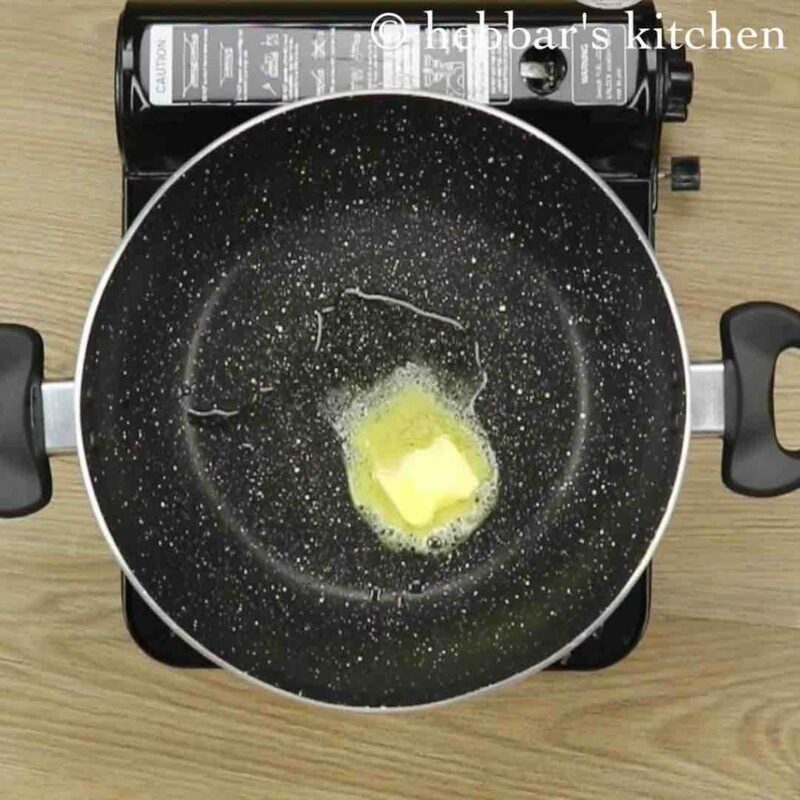 this prevents butter from burning. skip butter if you are diet conscious. 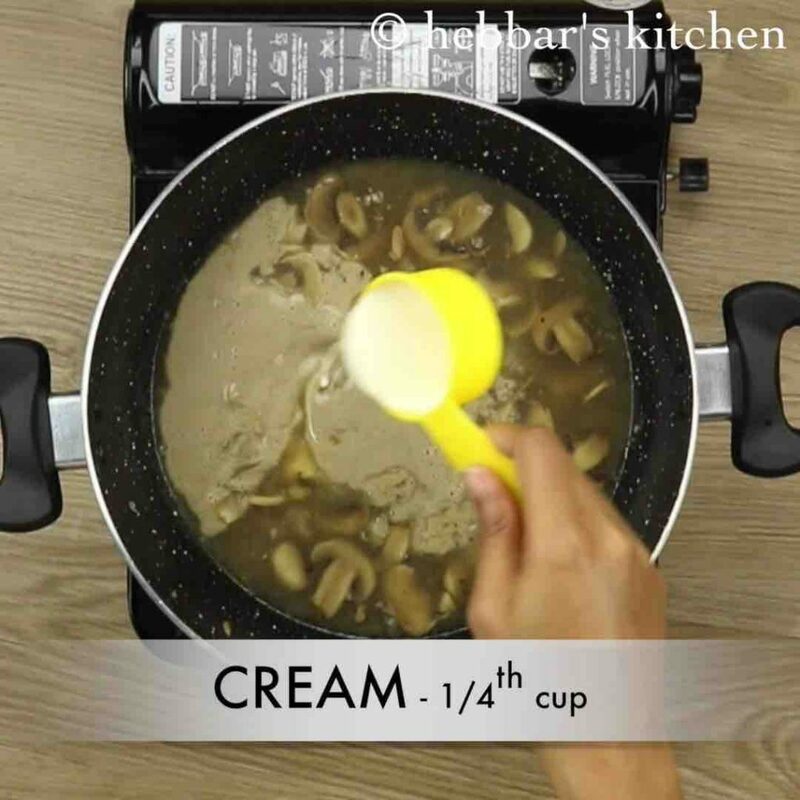 firstly, use variety of mushrooms to make rich cream of mushroom soup. 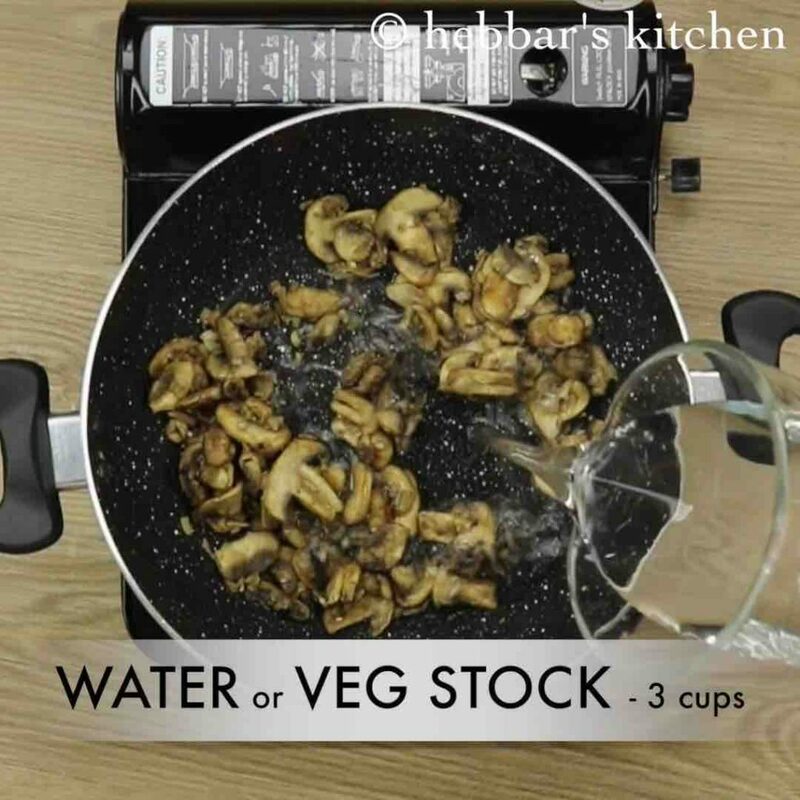 also use veg stock or chicken stock to make soup more healthy and nutritious. 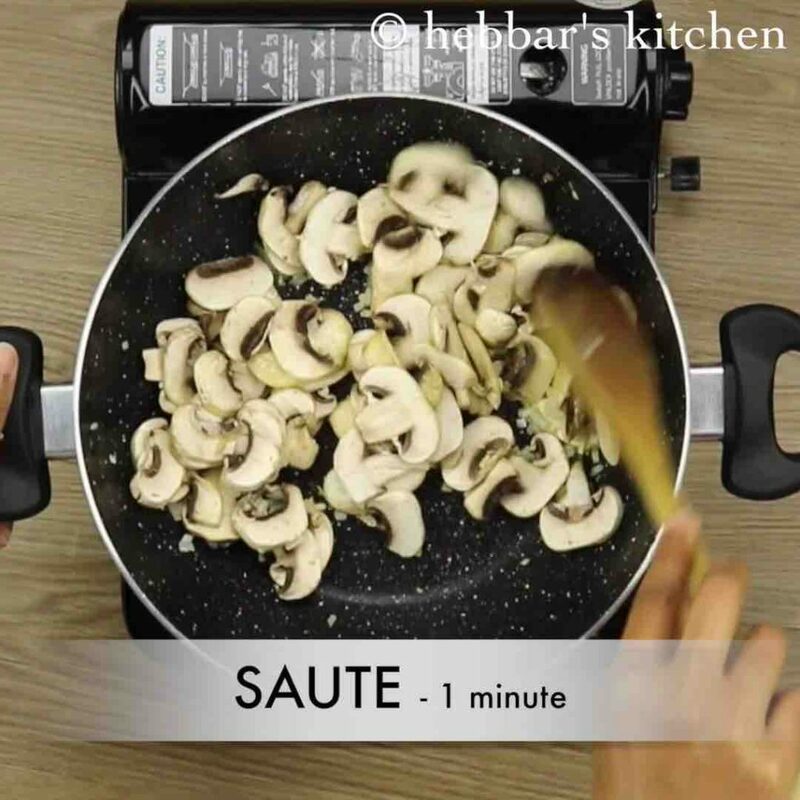 additionally, do not add salt while cooking mushrooms. as water releases from mushrooms leaving behind mushrooms soggy. 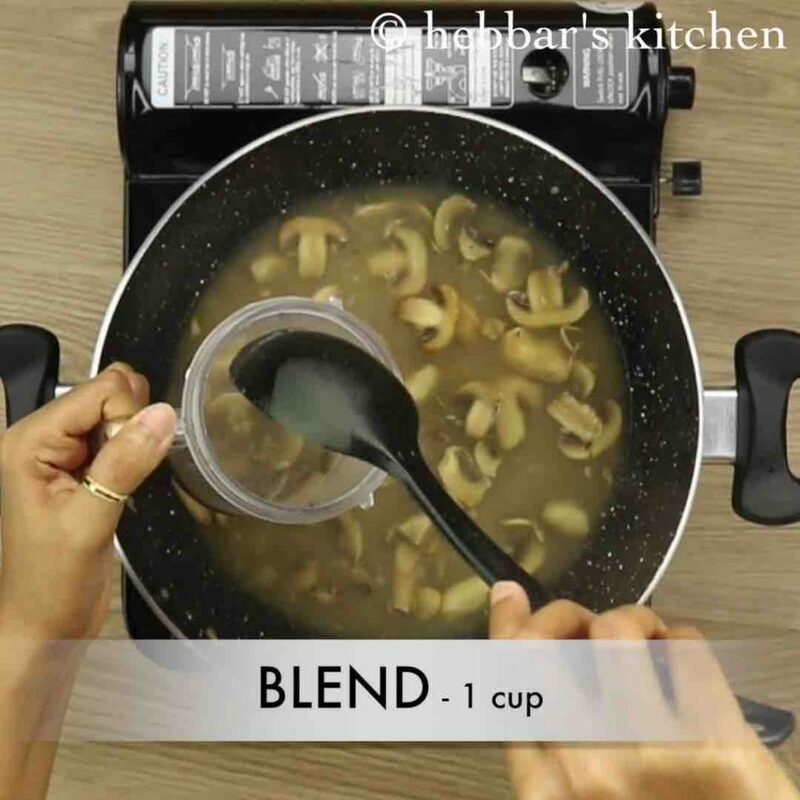 finally, cream of mushroom soup taste great when served next day, as they turn more creamy. Hi, I have always been a silent Follower of all your recipes, but I had to comment on this recipe, my husband and I simply loved this mushoom soup ! Made it two days in a row now 🙂 Thank you for all your wonderful work! It came out very well and better than restaurants. I have tried it Ma’am its really delicious.. Simply simple and superb …gr8 taste..Kids enjoyed. Thanks !! Very very very tasty and 100% restaurant style. I felt so proud on making this. Thank you so much for the recipe and especially the videos (not only this, all videos). Any newbies out there, trust me, this is one of the best you can make easily. It is definitely a must try recipe. this came out exactly restaurant style. my husband liked it too. kudos to u! you are welcome chinnu. I am glad you liked it. tried this, turned out very well. can you suggest a substitute of maida in this recipe. maida is added to thicken the soup. you can ignore and add more cream to thicken.